A home bar is a little paradise for all those who love drinking and like to treat their guests with fine cocktails and beer. A number of accessories specially designed for home bars are a must to serve the very purpose of having a bar in your house. From ice buckets to beer coolers, ice cube trays, cocktail glasses, bar knife, ice tongs to cocktail shakers – there are plenty of accessories to make your bar truly adorable and ready for every occasion. The best part is all these accessories are available online. This means, you can buy a cocktail shaker or beer mugs online sitting in the comfort of your home. 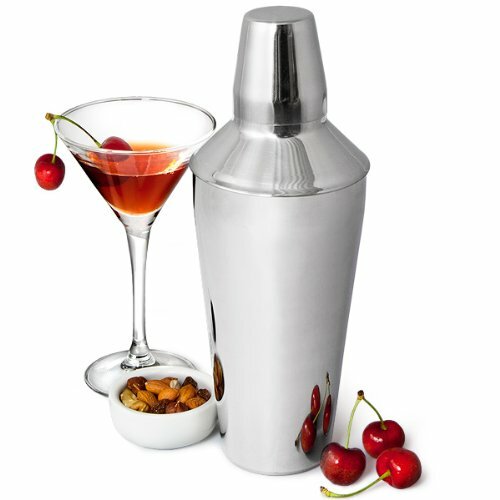 Buy a stylish stainless steel cocktail shaker online to spruce up your home bar. Available along with a set of essential bar accessories such as a bar knife and a handy opener, an easy pour cocktail shaker is all you need to churn up your favourite cocktail with style. The seamless stainless steel body adds to the elegance of your home bar. Without an ice bucket, you will not be able to add that cool quotient to your home bar. And, why not buy an ice bucket that looks classy and adorable? You will get several options such as contemporary ice buckets featuring textured ridges and a sleek body or traditional shaped ice buckets in gloss finish with beautifully crafted ribbed patterns. And, if you want to go few steps further, intricate handiwork on the body of the ice bucket for that killer look would be just perfect. These luxurious ice buckets are made of the highest quality stainless steel or a blend of brass and steel to provide a sturdy build. Carefully crafted beer mugs in stainless steel and glass are a perfect choice to complement your fine cocktail glassware and bar unit. Available in sets of two, these beer mugs are available online and can raise the temperature of your home bar by several notches. Another option in designer beer mugs is the solid stainless steel body Beer Nation mug that comes with calligraphic etchings on the outer surface spelling ‘beer’ in different languages. Truly, designed like a memento for all beer fans! If you want to pick up the ice-cubes and drop them into your glass in style, you need a pair of classy ice tongs that is specially designed to hold the ice. Made with the highest quality stainless steel, ice tongs will also complete your ice bucket. Stainless steel designer coasters in semi-matt finish and available in different shapes, patterns and designs are also a ‘must have’ for your home bar. Several reputed brands offer a wide range of options to help you choose and buy cocktail shakers, beer mugs and other bar accessories online. Of all these options, stainless steel luxury bar accessories from leading barware manufacturers have become a popular trendsetter with cocktail lovers. You may also buy these designer barware and accessories to add a touch of class and elegance to your home bar. This entry was posted on Tuesday, November 17th, 2015 at 7:03 am and is filed under Ideas. You can follow any responses to this entry through the RSS 2.0 feed. You can leave a response, or trackback from your own site.